On March 25, 2015, Donghia students presented their collaborative five-day Master Class projects to a jury consisting of: Valery Augustin, Principal, DNA | Architecture + Design and Adjunct Assistant Professor, USC School of Architecture; Frank Clementi, Principal, Rios Clementi Hale Studios and Adjunct Professor, Woodbury University School of Architecture; Matias Creimer, Principal, Matias Creimer and Senior Lecturer, OTIS Architecture/Landscape/Interiors; Ed Ogosta, Principal, Ed Ogosta Architecture; Whitney Wyatt, Associate, EHRLICH ARCHITECTS; and Anne Videriksen, Design Publicist, Los Angeles, CA. studio mk27,represented by founder Marcio Kogan and manager Mariana Simas, led twelve Architecture/Landscape/Interiors juniors and seniors in five-day projects, based on one of two movies: Playtime by Jacques Tati or The Grand Budapest Hotel by Wes Anderson. 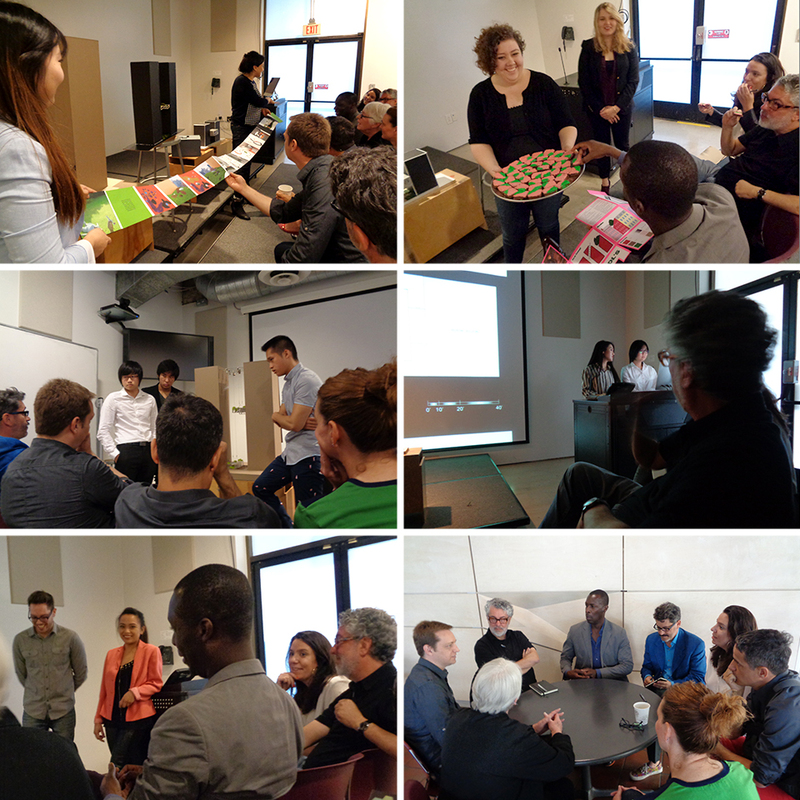 All design and representations were produced by Donghia students Rex Crafts, Diana Gonong, Amanda Hirsch, Suna Jaen, Yelin Lee, Darien Noguchi, Mina Park, Zhixin Rong, Izzy Savage, Cynthia Soto, Raymond Tran,and Kelvin Tseng between March 20th and 25th, 2015.